Traditional loans require an unblemished credit rating and or collateral. It’s an age-old struggle- you can’t make money if you don’t HAVE money. If you can’t afford to fix the electricity or pay for advertising, how are you supposed to make it through the year? Traditional Canadian bank business loans are based on a relation with your bank’s knowledge of your personal credit report. As a small business owner cash is king. No bank will invest in your idea without a personal secured relationship. Most small business can not expand or grow with out capital. It’s basically advance cash against your future credit card transactions. Approval is based on the monthly volume of your business transactions, not on personal/business credit or assets. 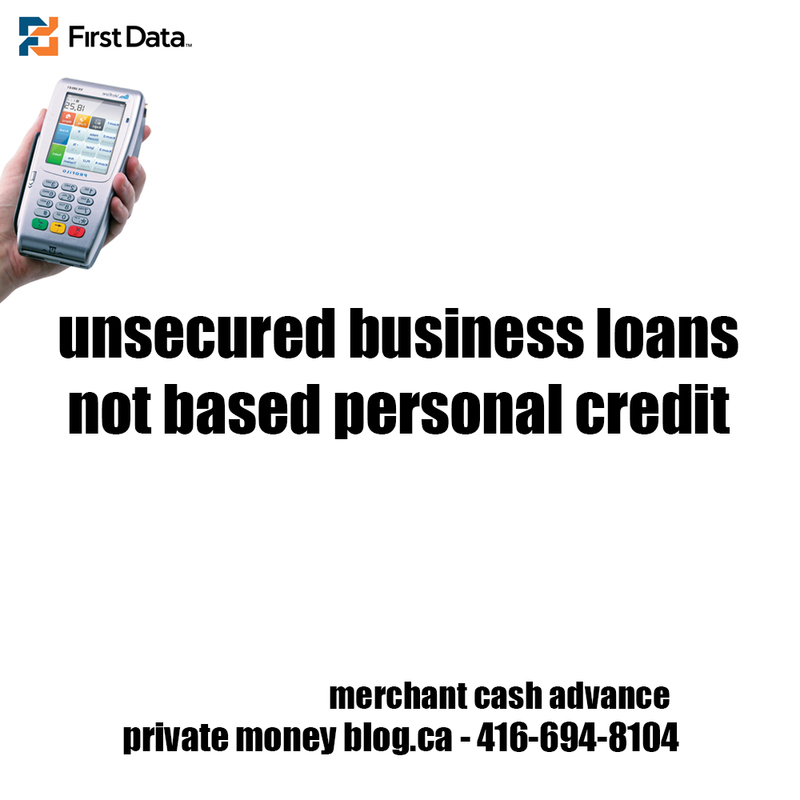 If your business has a 3-6 month history of consistent profits, the size of the loan would reflect the average typical sales, and the access to the loan comes from the history of credit card business, as it is that history that dictates the potential for future business, and the reassurance that loan payments could be comfortably made out of profits to come.